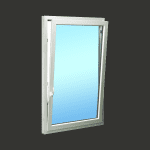 The Tilt/Turn window is a dual functioning window designed to provide ventilation, security, emergency egress and easy cleaning from the inside. Featuring single handle operation, simply turn the handle 90º and it swings in. Turn the handle 180º and it swings inward to a set position at the top providing ventilation and security. The turn function may be key operated for safety. 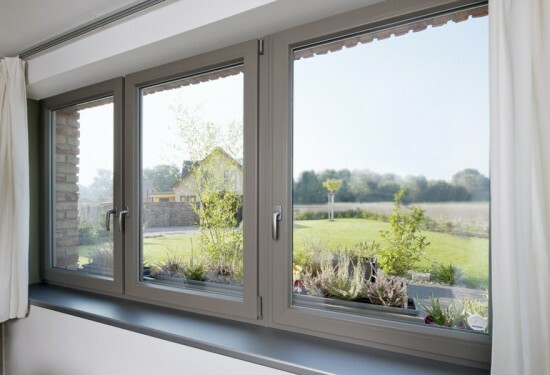 Built with the same frame, any of our windows can be used alone or mulled together with other units. 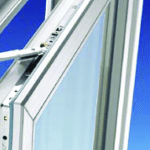 Elegance and reliability are built into our state of the art extrusions. Add your own creative touches with a variety of grids, glass types and transom designs. 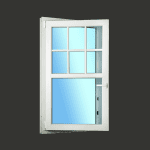 High quality insulated glass and first class craftmanship ensure comfort. Excellent thermal and sound insulation values excedd today’s energy efficiency requirements.